L-3 Communications and Alenia Aermacchi have again promised to fully support new C-27J airlifters if Australia chooses to purchase the aircraft through the US Foreign Military Sales program. 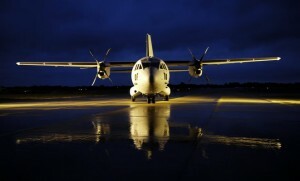 The statement was the second time in a month that Alenia and L-3 have sought to tamp down concerns over support for the C-27J, which Australia is considering as a replacement for the Caribou transport under the Battlefield Airlifter requirement of project Air 8000 Phase 2. 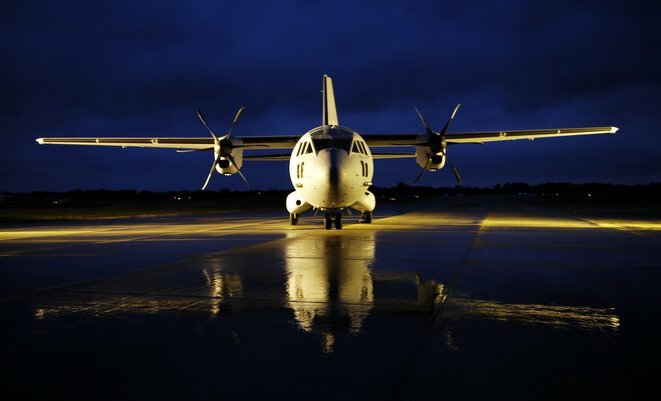 Those concerns stemmed from Alenia’s refusal to support any used C-27Js resold by the US, which has eliminated the program under Pentagon budget cuts. Alenia views the used C-27Js as competition to its efforts to sell new aircraft. The RAAF is known to favour the C-27J over competitors like Airbus Military’s C295 due its larger cargo capacity and better short field performance, but questions over support have given Airbus an opening to launch a renewed push in favour of the C295. Another possibility seen as increasingly likely is that Australia could use the US cancellation of the C-27J as an impetus not to replace the Caribou, which was retired almost two years ago. In their latest statement, Alenia and L-3 spruiked the benefits of the C-27J, saying it was the most capable aircraft in its class and would allow for the leveraging of common systems already in the RAAF’s inventory, such as the C-130. Prior to the Pentagon’s cancellation of the program, the US Defense Security Cooperation Agency in December flagged the possible FMS sale of 10 C-27Js to Australia for an estimated US$950 million. Well Alenia & L3 could lose out alltogether if they don’t follow through with support of the US’s used C-27Js. It seems from an Australian point of view that the issue is not which aircaft we are looking at (and their associated dramas), but what sort of aircraft we are looking at. Originally we were looking for a Caribou replacement, a fairly light STOL aircraft with limited lifting ability. Now we seem to be looking for a “C-130 light” with almost all the speed, range and payload dimensions of a C-130. Which begs the question: Why not just get some more C-130s? Instead of introducing another aircraft type, why not get some new C-130Js, the standard length versions or perhaps even short ones, retire the H models and leave the light STOL mission to helicopters? It will simplify training and logistics and we can forget about buying a potentially orphaned fleet of aircraft. Have you ever had a closer look to the Dornier 228 NG? A real almost one to one substitude for the good old Caribou! A light STOL aircraft, 2 tons of payload, unprepared runway operation, modern glass cockpit, very cost efficient, environmental friendly, easy to handle, extreamly versitale and low on maitenance? C-27J. Just bite the bullet, do the C-295 deal & be done with it – this whole program has dragged on for far too long. A C-27J purchase has a whiff of the ill fated Karman Seasprite about it. I Agree with Michael. Always thought that the C-130J (short) for special ops with say 6 is the right number. Secondly up the CH-47F to 12 (AKA upgrade the D model) This balances. One less type to support. Not only do we know how to use them with all the support in place, but they are part of a much larger global supply. It just makes sense. I’m with Michael and Darren. The question has to be seriously asked. What is the point. The battlefield is often best supplied by rotor wing. Forget bringing yet another aircraft in that requires additional and different support network. Increase the C130 fleet and definetly increase the Chinook fleet. UK has over thirty. What aircraft is providing major support in Afghanistan at the battlefield? The Chinook! Not a fixed wing aircraft. The problem is still being looked at as a RAAF want (really an empire building exercise) than an Army need. I would have to agree with Wolfgang Kofen, and maybe even something drastic as the Sukhoi S-80. Western engines, very good STOL, and can be used for cargo and passengers and a simple dual boom design. Service is easy for both models. Spares are easy to find, especially for the Do-228. Why do we need to get something bigger to replace something smaller? If someone can explain that exact reason, since they both use way less fuel, are more ‘nimble’ and are able to replace a retired aircraft and the search was for a similar size aircraft, I do not understand the need of the Herc’s. It is not only battlefields that the Caribou attended, it also was used for aid in disaster zones and other humanitarian missions. To add to my previous post, for the S-80, maybe an agreement might be able to be achieved for construction or final assembly at GippsAERO. That would also boost our local industry too. Maybe a similar deal can be looked into for the DO-228 NG. Either way, both of these are a closer fit to the Caribou category and size. Mike is right, the C27J does nothing that a C130 can already do…just at half the size and (according to the USAF this week) at a higher cost than simply flying Hercs. Why can’t the Australian Airforce also have like 4 AN-124 Ruslan aircraft as well. With new updated ones coming off of the assembly line and carry alot more than the C-17 and that. I live near near the Amberley Airbase and it is great to see these land out there. They do very good short landings as well out on the base.